Do you ever feel that you're stuck in a gaping hole between childhood and adulthood? You're not alone. It's confusing to most kids approaching their teenage years. Do you ever wonder why one minute someone expects you to act like an adult and the next minute you're patted on the head and treated like you're a child? This is frustrating and makes you wonder what's expected. Being a preteen is difficult. You want the people around you to see that you're mature, wise and capable of doing whatever you need or want to do, but there are times when that doesn't happen. It's a reality that everyone has to go through during the preteen years. 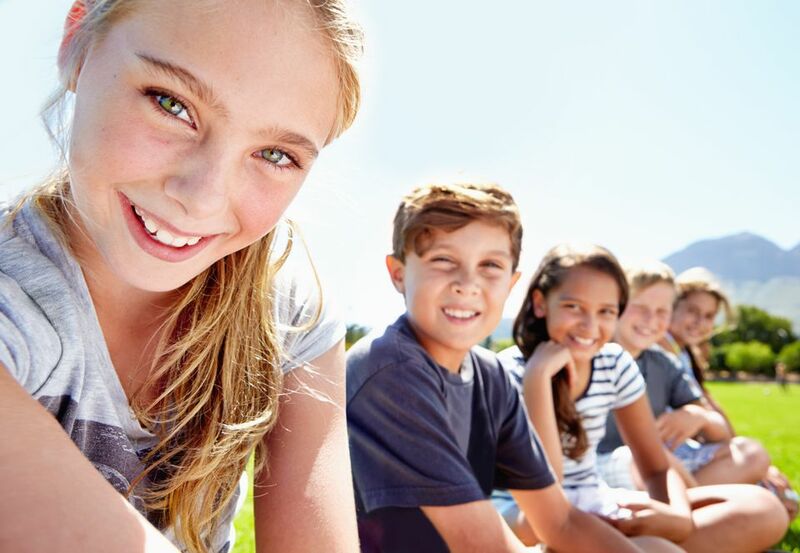 Although you're not yet old enough to be considered an adult, there are things you can do to gain the respect you want as a preteen. All you have to do is show mature behavior, and one of the things that includes is learning and showing proper etiquette. Your parents probably taught you to say "Please" and "Thank you" when you were younger, and you most likely you know the rules of good table manners, even if you forget them from time to time. However, it's much more than that. It involves the way you treat others, react to situations even if they're uncomfortable, and present yourself in public. If you act more like an adult than a child, people's perception of you will change. However it won't happen overnight. Showing good manners at home will give you the practice so you'll be able to do it around others. Add that to the fact that you'll make your parents happy, and you have a win-win situation. Following through with proper etiquette will have your family smiling, and the extra benefit may be that they trust you more with other decisions. Carry your share of the responsibility. This involves taking your turn washing dishes, taking out the garbage, and walking the dog. Keep your room tidy without someone having to nag you about it all the time. Do as you're told. Chances are, your parents have a good reason for asking you to do things, so humor them and do it with a good attitude. You might not understand their reasoning now, but remember that when you want them to take you to your friend's house next weekend, they'll be more likely to want to do it. Be nice to your siblings. If you can get along with your annoying sisters or brothers, you can get along with anyone. Show respect to older family members. After all, if it weren't for Grandma and Grandpa, your parents wouldn't be here, and neither would you. Be a good neighbor. Smile, offer a greeting, and show the people next door that you are a nice person. This is the time when your social life is starting to bloom. Friends invite you to parties, call to see if you want to hang out, or simply want to chill and watch a movie or play video games. Showing good manners to your friends will make them appreciate you more and might even earn you more invitations. Arrive on time. It is never polite to keep people waiting. It messes up other people's plans if they have to wait for you. Never act snobby. It might temporarily make you feel superior to stick your nose up in the air, but in the long run you're better off treating everyone with dignity and kindness. You don't have to be everyone's best friends, but you can at least smile and offer a nice greeting. Stay away from gossip. Don't say bad things about other people you know. Walk away when you hear others badmouthing someone. Even listening to toxic talk makes you guilty by association. Before placing a call to a friend, check the time. You don't want to bother someone too early, too late, or during mealtime. Never snap embarrassing camera shots without the subject's permission. This is a good time to think about how you'd feel if they did that to you. Be careful about sharing too much information. Your friends don't have to know all the gory details about every aspect of your life. Be on your best behavior at the mall. Other shoppers and store employees will appreciate your business much more if you respect others in the shopping center. Don't troll others or post anything negative about your friends on social media. If you're an athlete be a good sport – even if you don't win the game. Remember that there will probably be a rematch. Be extra kind to anyone who is disabled. Offer to help get something off a top shelf. This is a small act on your part that can make the other person's day much brighter. Get off to a good start on the first day of school. First impressions really do matter, and they stay with you for a long time. Learn and use proper etiquette when you are at school. Use speech filters and think before you speak so you don't say anything rude to anyone, ever. Overcome social anxiety by focusing on others rather than yourself. Be the first to be friendly to people you don't know. Remember that once you meet someone he or she isn't a stranger anymore. Remember when your mom used to tell you to take your elbows off the table? That wasn't just some lame rule she made up. The point here is that your elbows can cause the table to jostle, and no one likes their food bouncing around on their plates just because someone doesn't follow proper etiquette at the table. Using proper table manners will keep you in good graces with your family and anyone who invites you over for dinner. Know some of the most important etiquette rules for eating in a restaurant. Eating from a buffet is fun if you know the basic rules. If you spill something or make some other dining mistake, know what to do. Others will be understanding as long as you clean up your mess and apologize. By now you might have a cell phone or tablet that goes everywhere with you. Use it properly, or you run the risk of making others dread being with you. Besides, you don't want your electronic device to run your life. Practice good cell phone etiquette whether you're at home, at the mall, or hanging out at a friend's house. Don't forget your manners while you're on the Internet. Remember that social media is public. Even if you think you're sending a private message, it can still be forwarded to the masses. Never put anything out there that you wouldn't want your parents, your classmates, and your teacher to see.